At Media Brainers, our SEO team have honed their skills and developed tried and proven techniques for achieving rankings with all the major search engines, App Stores and more. All our methodologies are white hat to maintain your brand and to ensure long term effectiveness and better ROI. We believe in building long term sustainable results that are measurable, which requires doing things the right way from the start and always. We work closely with each client to identify your marketing goals and then develop an SEO plan of action to achieve your objectives. In the brick and mortar world, there is the old adage about property: Location, location, location. Well, in the online world, the same applies, which means page 1 is the right location. If you’re serious about investing in your web-property, growing your business and having long term sustainable traffic, then Media Brainers is the partner for you. Our full-service SEO offering is an end-to-end solution. We take care of every component to get the results you want. Based on a comprehensive needs analysis, we tailor an SEO plan; from keyword analysis and research to content generation and more, as well as onsite and offsite optimization, we leave no stone unturned. Once the initial optimization components are complete, we then implement an ongoing process to continue driving up the results and to maintain the quality of your site and rankings. The Media Brainer’s full-service SEO solution lets you focus on your business, while we drive top quality organic traffic to your sites. Local SEO requires a very specific skillset and strategy and what makes this space even more challenging, is Google only displays the top 3 results; if users want to see more results, they need to expand the options. 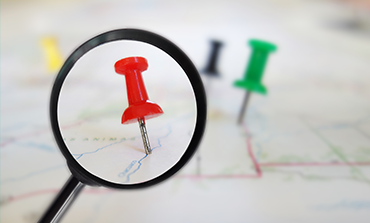 Before implementing a local SEO plan, the overall SEO needs to be in check. We then focus our attention on factors such as on-page signals, links, Google My Business page, location signals (NAP), citations, reviews, social signals and more. At Media Brainers, we have proven techniques that we have implemented for many clients that has secured them top positions for their respective local SEO rankings. If your business has a mobile App, preventing it from drowning in the sea of 2+ million Apps on the App stores can be extremely daunting. The volume of traffic and potential customers from the App stores is immense, so developing and executing a practical optimization plan is exactly what Media Brainers do. Once again, our tried and proven approach has helped our clients achieve top positions in the App stores, maintain them and receive millions of downloads. In 2016, mobile devices overtook desktop devices when it came to accessing the Internet and email. It is clear that mobile devices are an integral part of our lives and the way users browse, work and play. 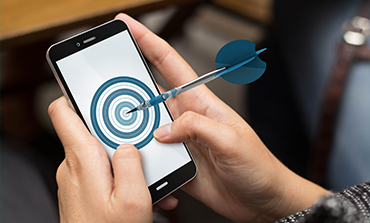 Search engines, like Google, constantly emphasize the need to serve optimized pages and content to mobile users, and mobile optimization is a key factor in their ranking algorithm. The Media Brainers SEO team have spent years perfecting the art of mobile optimization to ensure that the search engines love your site and that your visitors do to. We take all the factors into account, such as page speed, page size, navigation, user experience and more; plus we ensure that scripts and images serve correctly. In essence, no SEO strategy is complete without a mobile SEO plan. Media Brainers offers a comprehensive SEO projects and auditing service. Whether you simply want to know how effective your current SEO is, or plan on using one of our SEO services, it all starts with a detailed audit. Our auditing process identifies all the strengths and weaknesses and we produce a detailed report and outline of what needs to be done. With a clear understanding of where things stand, we then develop a detailed project plan in conjunction with you and your business goals.